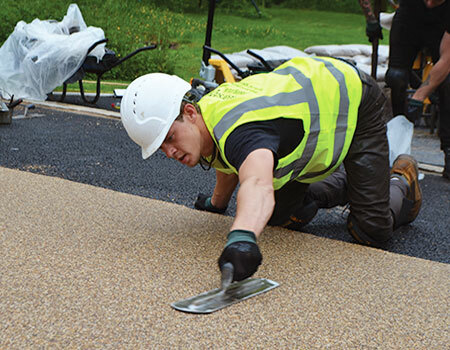 Refer to our specification page for details of the correct base to install for a resin bound surface dressing. Our BBA approval means we will continually meet the standards expected of our certificate and designers, specifiers and homeowners of our Clearbound system will continue to get solid reassurance of robust testing, consistency, reliability and fitness-for-purpose. As an architect, landscaper or specifier, you need the reassurance of working with an experienced supplier who really understands this specialist material. 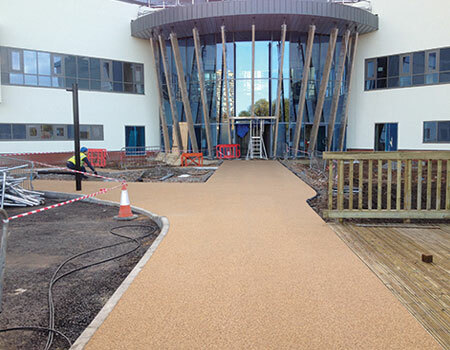 With 10 years of trading and 100k m2 of resin bound laid to date we know what we’re doing. Clearstone offers a single point of responsibility from design through to completion of a project, with the technical knowledge and experience to control the whole process. 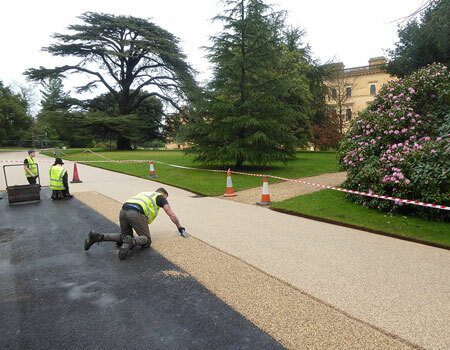 Our team can advise on site preparation, aftercare and maintenance. We provide specifications for the design loading, whether pedestrian, domestic vehicles, car park or access road traffic. However detailed your requirements, Clearstone will work with you to achieve your vision. 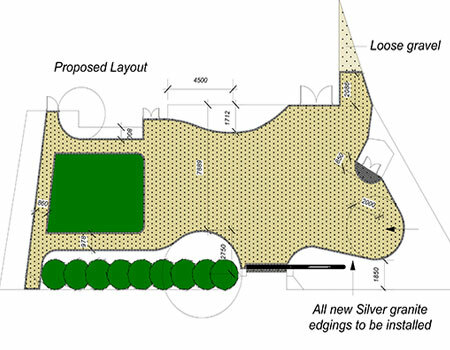 We have the in-house expertise to conduct full site surveys, produce accurate SketchUp and CAD plans. Email your drawings and tender specs to Andy our estimator and technical director on andy@clearstonepaving.co.uk Andy can provide you with advice and a quotation. Our installation teams are trained and directly employed by Clearstone. There are no third party contractors involved.